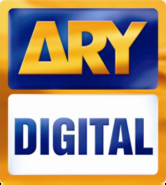 ARY Digital Channel shows Pakistani Dramas and is a Pakistani Entertainment Channel. Can someone please add HUM TV and STAR PLUS. Thanks for posting and the streaming...much appreciated! Is Hum TV removed from standard content listing from all jadoo box in The US? I recently visited a friend in Canada and found that Hum TV is still working a standar jadoo box offering just as it did in the US up until couple of months ago. Is there a way to add Hum TV again? This is a desperate help SOS. wow, been looking for this for months! Ary digital link is not streaming ! when i post this limk in the url place when adding a channel it says the link is invalid. Please help?